There are literally ten asteroids that the space organisation NASA have been classified as “potentially hazardous” based on their size and their orbits in our Solar system. Ten causes to worry about! This animation above shows asteroids and comets observed by the Near-Earth Object Wide-field Survey Explorer (NEOWISE) mission. NASA has now identified 693 near-Earth objects thanks to the Wide-field Infrared Survey Explorer spacecraft that’s been looking for potential threats to Earth since 2013. The organisation doesn’t specify what kind of hazard these ten asteroids pose. But impacts from objects in space are just one of several ways that humanity and most of life on Earth could suddenly disappear. We are already observing that extinctions are happening now at an unprecedented rate. In 2014 it was estimated that the extinction rate is now 1,000 times greater than before humans were on the Earth. The estimated number of extinctions ranges from 200 to 2,000 species per year. 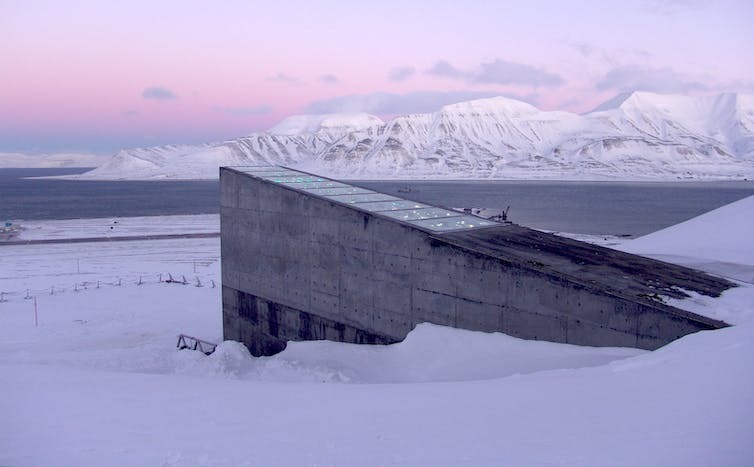 The most famous is the Svalbard Global Seed Vault, located on a remote Norwegian island about 1,300km from the North Pole. The location was deliberately chosen to afford the project safe and secure long-term storage in cold and dry rock vaults. But there were reports earlier this year that the vault had suffered issues with water from the surrounding melting permafrost (caused by global warming) gaining entry to parts of the structure. What? KFC Is Sending A Chicken Sandwich To Space!